How Does Egg Masks Benefit Your Hair? Everybody knows that eggs are good for your health. But did you know that they’re equally good for your hair? Yes, you read that right! Gone are the days of expensive hair spas and messy DIY masks that cost you more than the ones available in the market for a cheaper price. 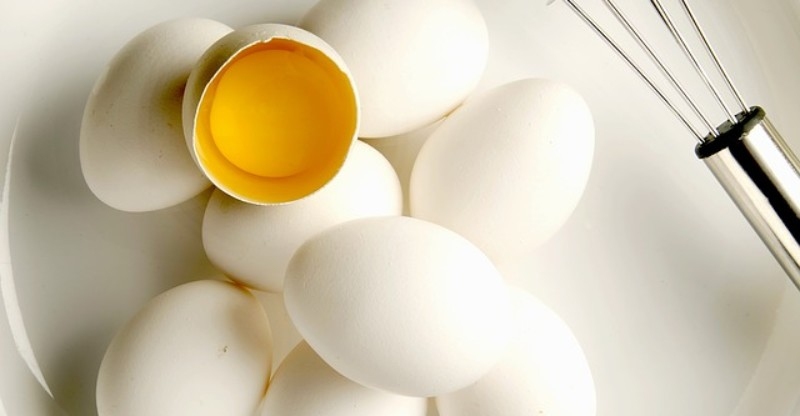 Eggs naturally contain biotin, sulfur and protein, all of which are excellent for hair growth, repair and nourishment. I’m not promising you hair like Rapunzel’s, but you will definitely see a spike of growth in your hair if you apply one or more of the following masks at least two times a week. Mix the ingredients well. Apply on your scalp and apply whatever remains on your hair tips/ends. Leave it for at least an hour, and wash it with warm water and shampoo. Don’t use conditioner. There is no need for it because olive oil will automatically hydrate, nourish and condition your hair. The vinegar with its acidic properties will inhibit the growth of dandruff causing bacteria on your scalp. Mix the ingredients well. Apply on your scalp and apply whatever remains on your hair tips/ends. If you have eczema or psoriasis, then an egg hair mask with jojoba oil is Godsend for you. The oil gives you considerable relief from the constant itching on your scalp, while simultaneously preventing the entry of germs through the inflamed and cracked skin. Its antifungal and antibacterial properties, along with its high content of minerals, vitamins and antioxidants, ensure that your scalp, along with your hair roots, grow healthier. While the egg provides protein to your hair roots in order to grow back healthier and thicker hair, the combination of honey and olive oil nourish and moisturize your hair better than any chemical conditioner. Banana and milk provide much needed sheen and strength to your dry tresses. First mix the egg and the gram flour. After a thick paste has formed, slowly add the curd to it till you get a consistency that you require. Finally add the lemon juice to it. Mix well and let it sit on your head for at least half an hour. Lemon and curd both are acidic in nature, which is great for an oily scalp. If you have dandruff, then this egg hair mask is a bonus for you because curd’s antifungal properties fight infections on your scalp. Gram flour, on the other hand, is an excellent hair cleansing agent which not only controls your scalp’s oil production, but also adds a beautiful sheen to it. First, beat the two eggs in a blender, and then simply add castor oil to it. Apply on your scalp and apply whatever remains on your hair tips/ends. Let it remain for at least an hour, and wash with a mild shampoo. Castor oil contains ricinoleic acid, which is known for promoting hair growth as it can easily be absorbed by the pore on your scalp, thus providing nourishment to your hair follicles. The oil also cures dandruff, acne, acts as a conditioner and brings your scalp back to its original pH level. So now that you know about the different types of egg hair mask for different types of problems you’re facing, it’s now time to explain why eggs are so good for your hair. For those who don’t know, Vitamin B complex includes vitamins like B1, B2, B6 and B12. If you’re deficient in them, you can have brittle hair and in extreme cases, severe hair loss. So whenever you eat or apply eggs on your hair, you’re providing your hair follicles with much needed vitamin B complex for a healthy growth. It’s abundant in skin care products, and for a good reason – because of its massive moisturizing, hydrating and nourishing properties. They make dry, frizzy or damaged hair not only manageable, but also give them an unparalleled shine. Omega fatty acids in eggs prevent dry, itchy, flaky scalp, while improving hair growth, giving shine to your hair and even reversing hair loss. It’s also very effective for damaged hair. Eggs are rich in lecithin. And if you lost your beautiful hair to excessive use of chemicals or simply to sun damage, then lecithin reverses that damage for you. It’s also great for dry and frizzy hair – it keeps them manageable and soft. Server responsed at: 04/22/2019 2:08 p.m.